What happened to the investigation into Michael Cohen’s leaked financial records? WATCH Who is Michael Cohen? 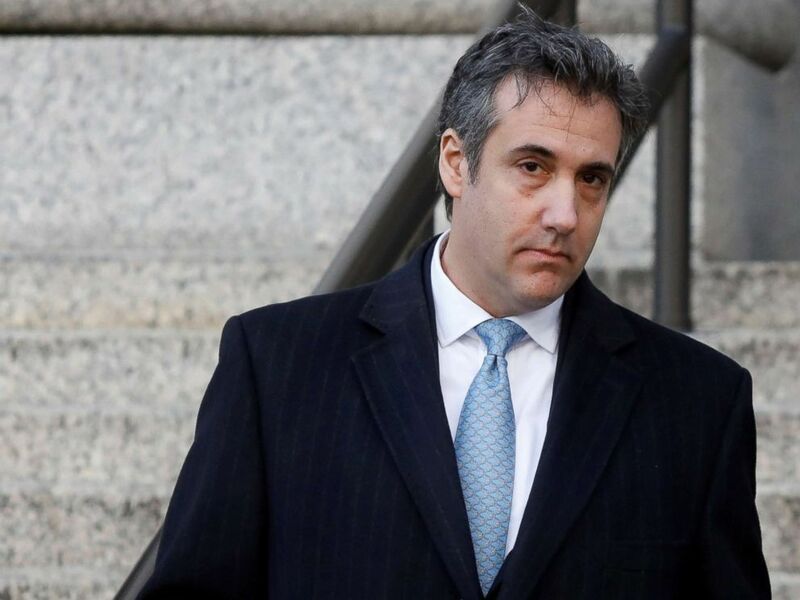 In the wake of Michael Cohen’s bombshell plea agreement with special counsel Robert Mueller, questions remain about the investigation into the illegal leaking of the former presidential fixer and longtime attorney's sensitive financial records. They worry the matter has fallen off the administration's radar after Cohen signaled his cooperation with multiple investigations, including a New York state probe of the Trump Organization and the special counsel's investigation into Russia's meddling in the 2016 elections, the sources said. Their questions about the timing of the Treasury Department inspector general's probe of Cohen’s leaked financial information also come on the eve of his sentencing hearing in New York for tax evasion, campaign finance violations, giving a false statement to bank and lying to Congress. Michael Cohen exits Federal Court after entering a guilty plea in New York City, Nov. 29, 2018. The Treasury Department inspector general, when asked on multiple occasions over the last few months by ABC News, has said the status of the investigation into the leak is ongoing. “All inspectors general are independent of their agencies, and of political considerations in investigative decisions and processes. That includes this one,” Rich Delmar, a spokesperson for the Treasury Department’s internal watchdog, told ABC News. A former high-ranking federal prosecutor who has been following the case said that although the probe may appear to be moving slowly, the alleged offender will ultimately be found. “On the face of it, identifying the computer where the material in question was downloaded should not be time-consuming. Ultimately, it’s likely the perpetrator or perpetrators will be identified if there is a vigorous investigation,” the former official said, speaking on background to ABC News. The leak of Cohen’s financial information occurred through an unauthorized disclosure of Suspicious Activity Reports (SARs), according to the Treasury Department’s Office of Inspector General. 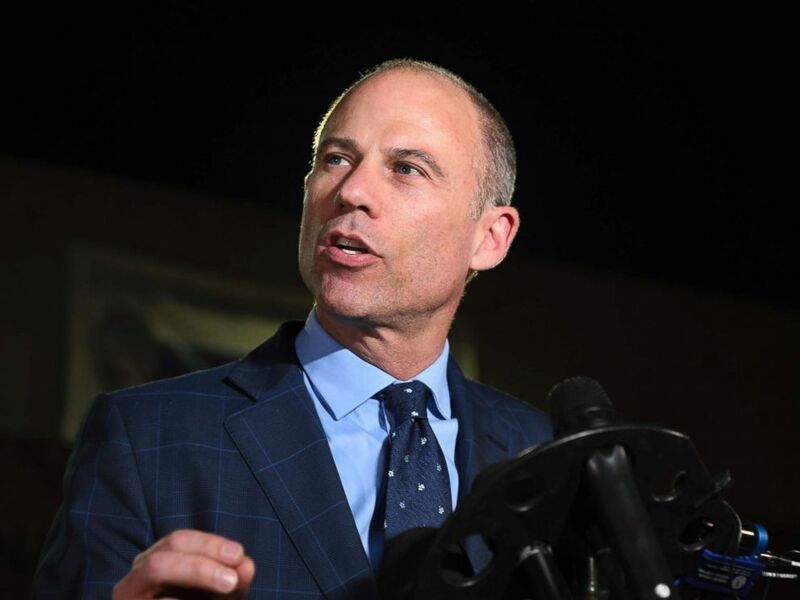 Michael Avenatti speaks to the media outside the Los Angeles Police Department Pacific Division after posting bail for a felony domestic violence charge, Nov. 14, 2018. SARs – which are monitored by the Treasury Department’s Financial Crimes Enforcement Network, or FinCEN – are a channel for financial institutions to file legally-mandated reports of potentially improper financial transactions relevant to a possible violation of the law. It is a felony, in most circumstances, to publicly disclose the existence of a Suspicious Activity Reports or its contents. Peter Djinis, a former senior official at FinCEN who now specializes in anti-money laundering compliance, says tracking the unauthorized disclosure of Suspicious Activity Reports is not difficult if the person is authorized – that is, a law enforcement official, financial regulators, or someone in the intelligence community – but such tracking may cast a wide net. But experts in this type of financial information leak investigation suggest the timeline could be drawn out because of the large number of people with authorized access to these records. Such allegedly improper access to the database by an authorized user appears to have led to the October arrest of Natalie Sours Edwards, a senior adviser at FinCEN whom federal prosecutors accused last month of providing a journalist with confidential material, including SARs, on former Trump campaign chairman Paul Manafort and political consultant Rick Gates – but not Michael Cohen. 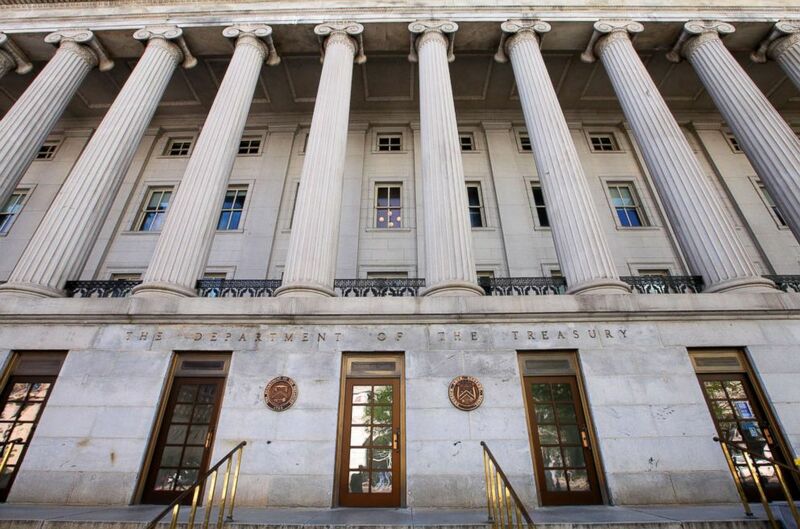 In this file photo, the U.S. Department of the Treasury building is pictured in Washington, D.C. on Apr. 20, 2013. In that case, authorities allege that forensic analysis of her computer usage determined that Edwards, without a legitimate purpose for doing so, accessed more than twenty thousand files and off-loaded them to a government-issued flash drive. Edwards’ arrest happened almost exactly one year after she first allegedly downloaded financial records and shared them with a reporter, according to her indictment. It is not clear when the Treasury inspector general and FBI began investigating her, but Edwards’ case may give a sense of the expected investigative timeline in a scenario similar to Cohen’s. The greater challenge in identifying the person responsible for accessing the SAR, Djinis said, is if the person comes from the financial community – a bank, money transmitter, or casino, for example – with access to an internal SAR database. Regardless of where the individual responsible for accessing the information works, determining who leaked the information could be a separate issue with its own challenges, Djinis said. Adding to the intrigue of identifying a culprit in Cohen’s case, The New Yorker published an article on May 16 quoting an unnamed government official who claimed to be the source of the Cohen leaks. In the article, the official feared the government would suppress Cohen’s SARs in an effort to protect his business interests after discovering that some of his records were missing from a government database. “To say that I am terrified right now would be an understatement,” the unidentified official said of their potential legal exposure. ABC News later reported that Cohen’s SARs were never removed from the database, but had been put under restricted access, consistent with agency policy on matters tied to law enforcement investigations.